Ta Tragoudia Tis Psihis has been a long-running radio show, every Sunday evening between 7:30-10pm. The soulful tunes encompass entehno, ballads, elafrolaiko, and atmospheric music which generate a feeling, of good championship and ‘good wine’ under a full-lit moon. It’s like an old-picture, which brings nostalgic moments, reflecting our most quiet internal and solitary moments. The listeners are taken on a voyage, through the music and lyrics of the songs. One of the foremost established DJs and radio presenters, who had run various music shows, children’s slots, also reviewing books and films. 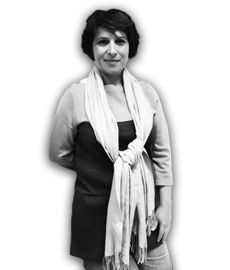 Fani has been a member of the LGR team since 1991. She was born in Limnos and music has always been a very big part of her life.